Broccoli is a type of green vegetable belonging to the cabbage family and has origins from Italy and the Mediterranean since ancient Roman times in the 6th Century BC. This plant has cross-shaped stems that appear like mini trees, which have helped to define its name as "branch" or "arm." Broccoli has many nutritional health benefits including a large amount of vitamin C, calcium, and anti-cancer properties due to its vitamin A elements. Broccoli is also known to reduce cholesterol, allergies, and inflammation as well as help the body detoxify, maintain healthy skin, and protect eye health. California provides most of the broccoli in the United States, and the USDA says the U.S. is the third largest producer worldwide, eating an average of over four pounds per year, individually. Broccoli can be eaten raw or cooked and is often considered a superfood. 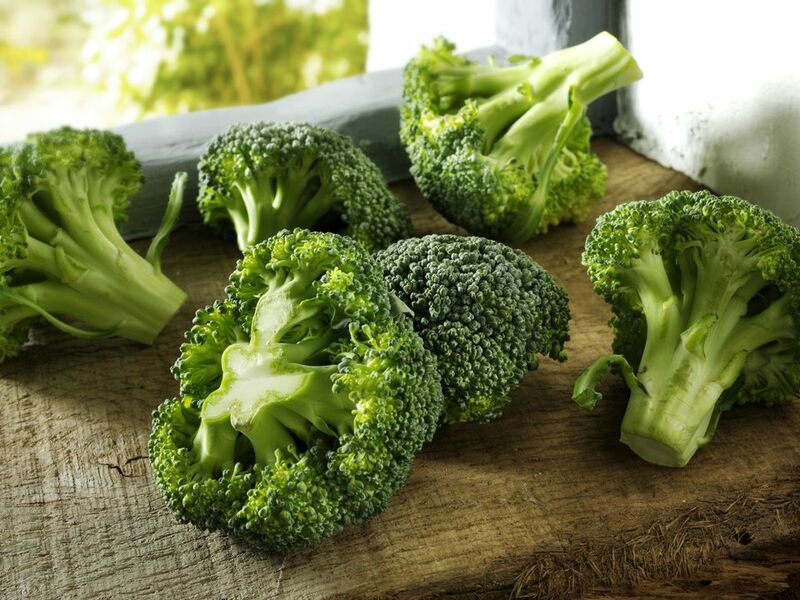 When eaten raw, broccoli provides a large amount of sulforaphane which helps to detoxify the body. Although eating broccoli raw may provide more health benefits, those cooking it can lightly steam it until it's cooked but crunchy. Both the florets and stalk stems are perfectly fine to eat. However, most people tend to eat the florets due to texture or flavor preference. Although the stalk is underrated, it provides a crisp and juicy texture, mild flavor, and an opportunity to create fun recipes like broccoli slaw. Broccoli can be stored by wrapping it loosely in damp paper towels and refrigerating it. Sealed plastic bags are not recommended, as broccoli needs air circulation. Use perforated bags instead. Broccolini, broccoflower, or cauliflower may be substituted for broccoli in most dishes. Broccolini is sometimes referred to as "baby broccoli" and is a cross between broccoli and gai-lan, which is a Chinese broccoli. While regular broccoli has big heads and wide stalks, broccolini is shaped into thin stalks with a small floret. On the other hand, broccoflower is a mix of broccoli and cauliflower. It's a bright green color that tastes like cauliflower when raw and broccoli when cooked. Cauliflower is also similar to broccoli but has fewer calories. It is a great source of fiber, omega-3 fatty acids, and various B vitamins. All of these substitutions are great replacement ideas for broccoli when you don't have broccoli around or want to mix things up.